Delivering consistent levels of high performance has never been easy, but in today’s VUCA world, it’s harder than ever. It is one thing to perform well on one project or perhaps to turn in a good set of numbers over a quarter or half. It’s quite another to perform at a consistently high level year after year in the face of our increasingly volatile and stressed business environments. We can gain a useful insight as to how we may need to adapt from the sports arena. If we look to the world of tennis there are four men who stand head and shoulders above the rest in terms of consistent performance. There are any number of young tyros with extraordinary skill who can win a magic set and even a match or two. But the Grand Slam finals, encounters that can last for 4 or 5 hours, are invariably contested by just four men – Novak Djokovic, Andy Murray, Roger Federer and Rafa Nadal. Over the best-of-five set matches, these are they guys who can perform time and again. On top of their incredible natural talent, they have layered great discipline and thorough physical and mental conditioning. They understand the importance of diet, sleep, rest and complete mental preparation. Additionally, they have to take total personal responsibility. Whilst supported by a team of experts - physios, coaches, sports psychologists and dieticians, it is the players alone who must perform completely unassisted during a match. This intensive and holistic preparation’ is what enables them to perform both athletically and psychologically whilst under the most intense physical and emotional pressure. As business leaders we need to follow their lead. We must prepare ourselves for sustained high performance. We are all being asked to do more with less against a backdrop of continual change. Our lives are now a blur and stress and mental health issues are showing up both at work and home with damaging consequences for our families and colleagues. So what do we need to do to perform consistently well? 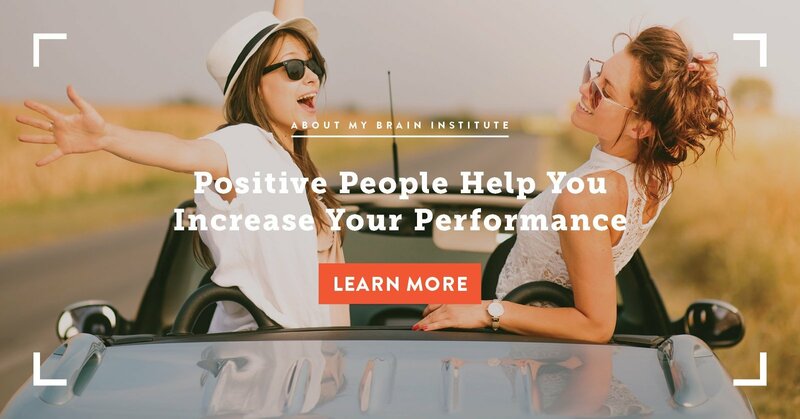 Performance is one of the four key competencies in the developed by Silvia Damiano, founder of the About my Brain Institute. 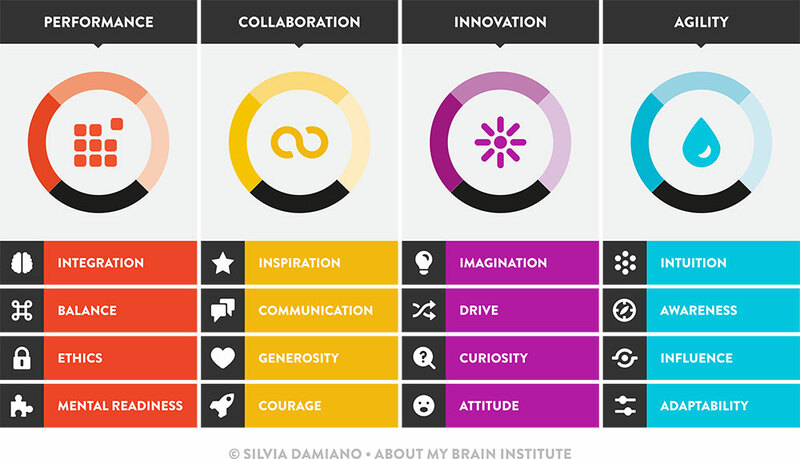 The other three competencies are Collaboration, Innovation and Agility. The i4 Model is a personal leadership and well-being framework, which has been designed to provide a roadmap for leaders to develop the abilities needed to navigate a VUCA world. Performance is the optimal level, both mental and physical, that a person is able to achieve when implementing a task. To really understand performance then, we need to look at the integration of both our mental and physical states and think about what a task is, not just in terms of time, but what it requires from our brain. 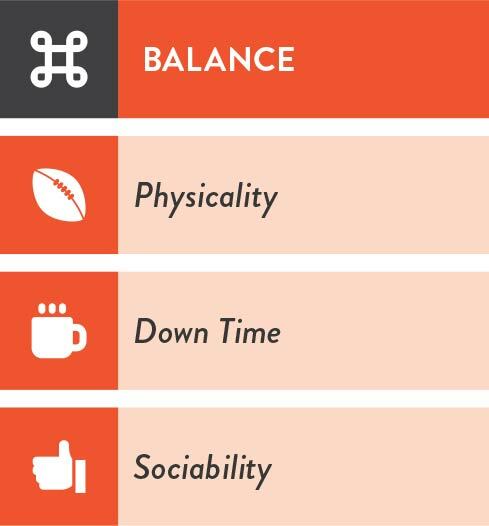 The Competency of Performance breaks down further into 4 constituent parts (or what we call ‘Pillars’) - these are: integration, balance, ethics and mental readiness. Each of these pillars are explored below. We have also pointed you to related articles! Executive Function is all about getting the best from the Pre-Frontal Cortex area of our brain. It’s involved in decision-making, planning, abstract reasoning and judgment. 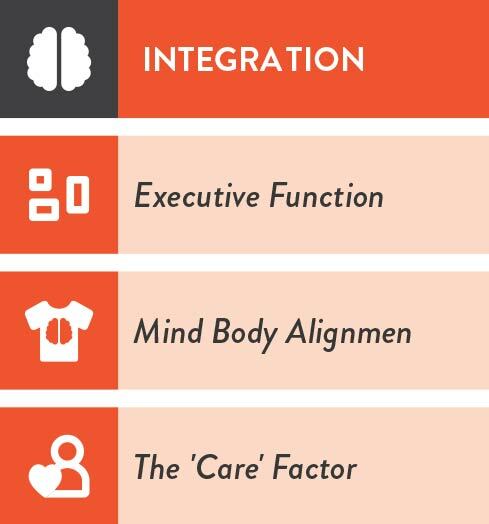 The first stage in Mind-Body alignment is for leaders to be able to perceive their emotions and then align their three brains (head, heart and gut) to govern their actions and decisions. This enables us to perform better and more consistently - irrespective of external stressors. It also enables us to be mindful of better splitting our attention between task and people care – a failure point for most ‘busy’ leaders. Physicality is about eating well, exercising and allocating time for relaxation and play. We know this to be important, but so often ignore this need – often like a badge of honour. When work train at the gym, the actual strengthening of muscles takes place in the rest days afterwards – when the muscles repair in response to the stress. In the same way, creating time to re-charge, relax, to socialise with others and to think is not just a nice-to-do, but a vital part of the process in building performance and resilience. 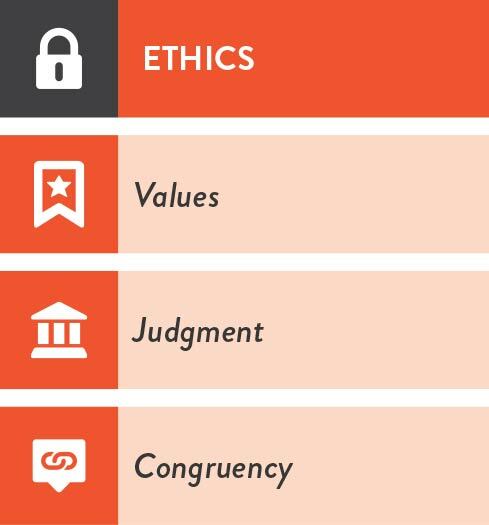 We must be clear on our values - and aware of how they will inform our thinking - and use our judgment to understand, evaluate and make considered decisions. In a business world where the moral compass can appear hopelessly debased, getting clear on what we stand for is vital for both ourselves and our teams. Finally we must be congruent. This implies saying what we mean and demonstrating it in every sense (body language, tone, attitude, facial expression and actions). Firstly, we need create a state of internal confidence to act. We must be able to plan ahead, using skills such as visualisation and physically prepared (by centering and breathing). Crucially, we must develop our ability to focus and refocus. A person who is mentally ready has mastered the capacity to focus, self-manage and maintain a healthy degree of internal discipline. 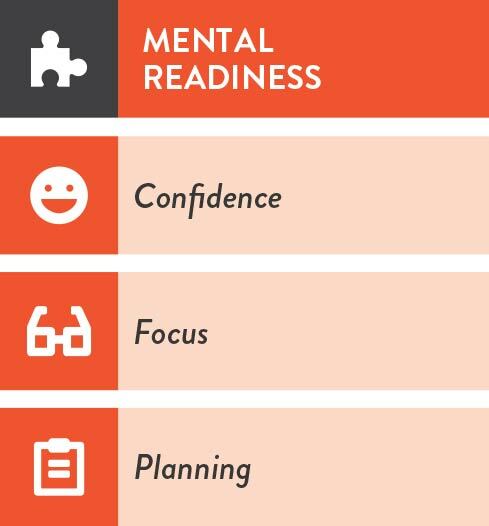 Read more about Mental Readiness! Responding to the increased work/life pressure by simply working harder in our long-established and unquestioned work rituals, leads to a steady decline in our performance. At an individual level, we can lack self-awareness, lose control of our emotions and become inconsistent between what we say and do. 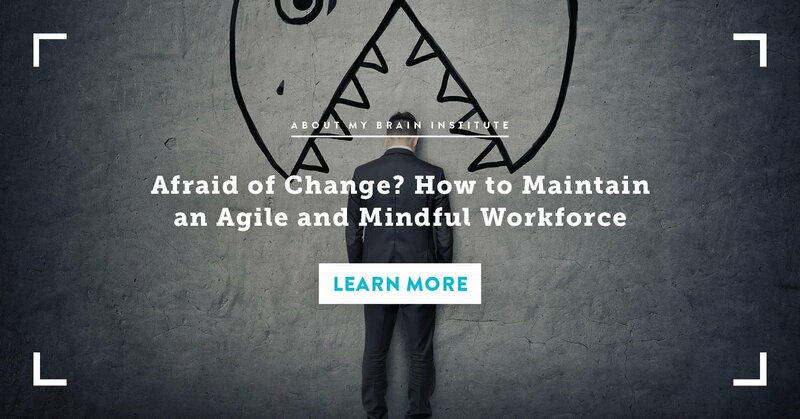 This feeds into poor business performance with a likelihood of increased conflict, poor strategy and planning, unethical choices and heightened levels of stress, absenteeism and even mental illness. This is neither a happy nor productive workplace! 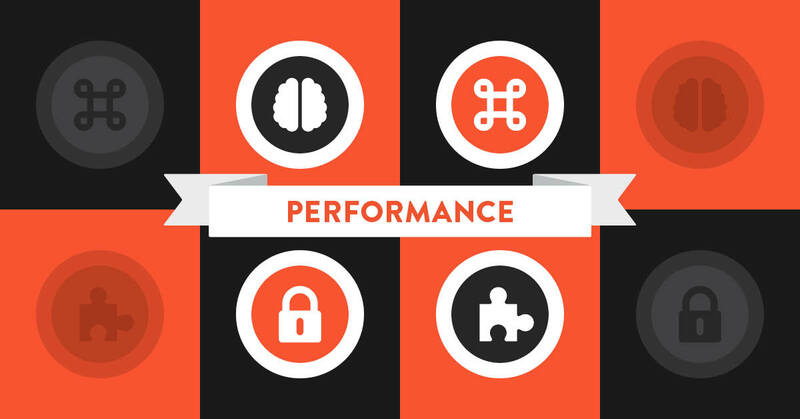 When we reframe the performance equation to include the brain, things can look very different. By taking care of our mind, body and spirit, we can be confident without being arrogant and remain calm in stressful situations. We can rely on our good judgment and be focused, disciplined and know how to prioritise. This is good for business. We are more productive and efficient. We contribute to more resourceful and solution-driven teams and make better decisions. 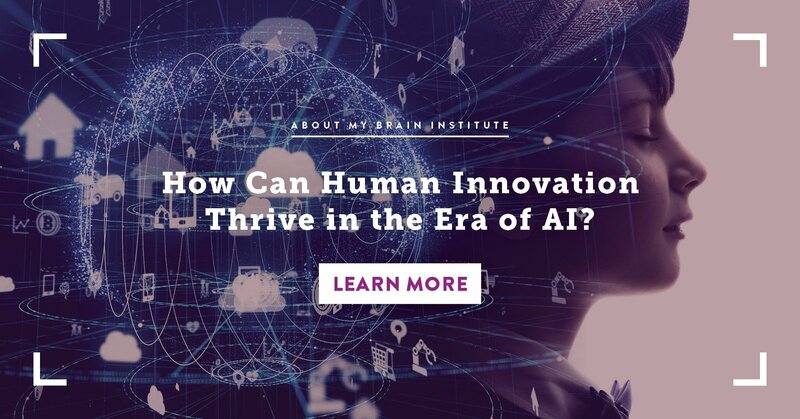 We end up with a brain-friendly culture that is both a better place to work and be, but is also likely to have much higher levels of performance (and reduced levels of absenteeism, disengagement, turnover and mental illness). When we break it down, so much of this is common sense. It is something we know to be innately true. We know that we are at our best when we are rested, balanced and calm. We know that acting on our instinctive empathy builds connection and contributes to a great culture. We know that good planning, discipline and consciously working on getting the best out of ourselves and others is the way to great performance. But in the pressure cooker of business as usual we seem to so easily lose track, to wing it, or perform only sporadically. If we are going emulate the great tennis players to win our own Grand Slams, we need to take a leaf from their book and adopt an ongoing whole-of-body & mind approach.